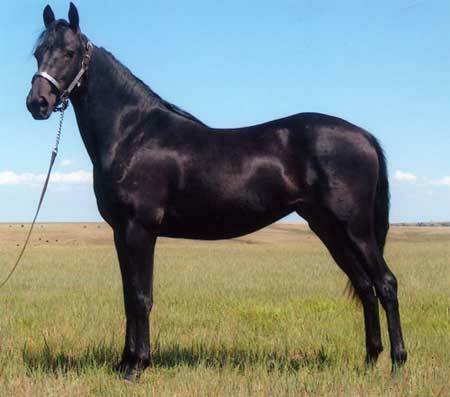 This beautiful HOMOZYGOUS BLACK mare has nine ancestors in her pedigree that are homozygous black in the first three generations back. Well known sires in her pedigree include: Rimlo Black prince (2x), Caduceus Denver, Rimlo Black Valiant, and Wyoming Flyhawk-Flyhawk. Cute is a product of our breeding program. In her pedigree, there are horses that were part of our program three generations back. Megan shows Cute in Western and English classes.